One can't deny that Mike Newell's live action Prince of Persia movie got some awesomeness. 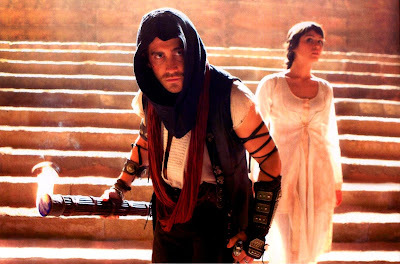 but this new cut of the Prince of Persia won't do much to conquer the gamers' approbation... Anyway, I bet that it will catch the attention of a large public. Can't belive that some people really like Prince of Persia trailers. I've watched them 10 times each and every time liked them less and less. It was just the opposite with the Crash of the Titans teaser trailer - love the trailer even thought I'm not interested to see the movie.